Discover how Ezekiel's varied and dramatic mission points towards the Christ. The land was awash with false gods and groaning under all kinds of social evil. The inevitable happened: God's horrific judgment on his people started to unfold. A young Ezekiel, carried off to exile in Babylon, was commissioned by the Lord to warn of a more devastating and unthinkable judgment to come. When the most traumatic event in Israel's biblical history did happen - the destruction of Jerusalem and the temple - Ezekiel's ministry took a new turn as the bulk of the displaced population joined the existing exiles. He struggled to bring some kind of meaning, comfort and hope to a shattered, decimated and totally demoralised rump of God's people. 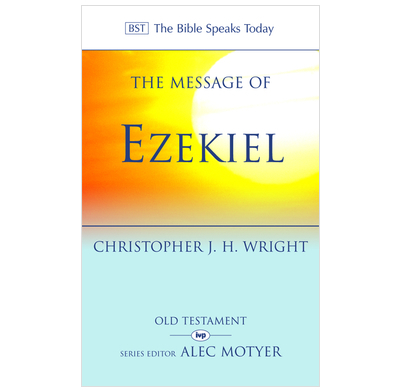 Chris Wright vividly explores Ezekiel's varied and dramatic mission at several levels: his unwitting preparation for the task; the social and political background to his work; the character of his ministry as watchman, evangelist and pastor; and the wider mission context of Ezekiel's vision - the knowledge of the Lord in Israel and among the nations. Found it made me chase all over the place. This may be the way it is written, not as consecutively But why is ch22 not mention at all?! Found John Taylor's far more accessible.